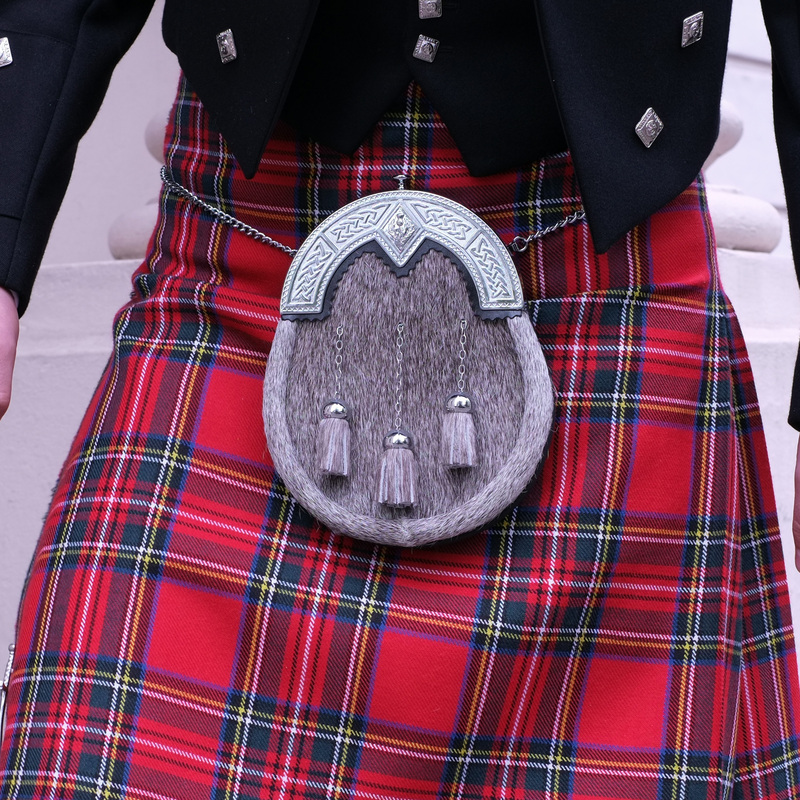 5 Yard Kilt made-to-measure by our award winning kilt makers in Scotland from the finest 13oz pure worsted wool tartan of your choice from just £669, saving £157 compared to the sum of the individually priced components. 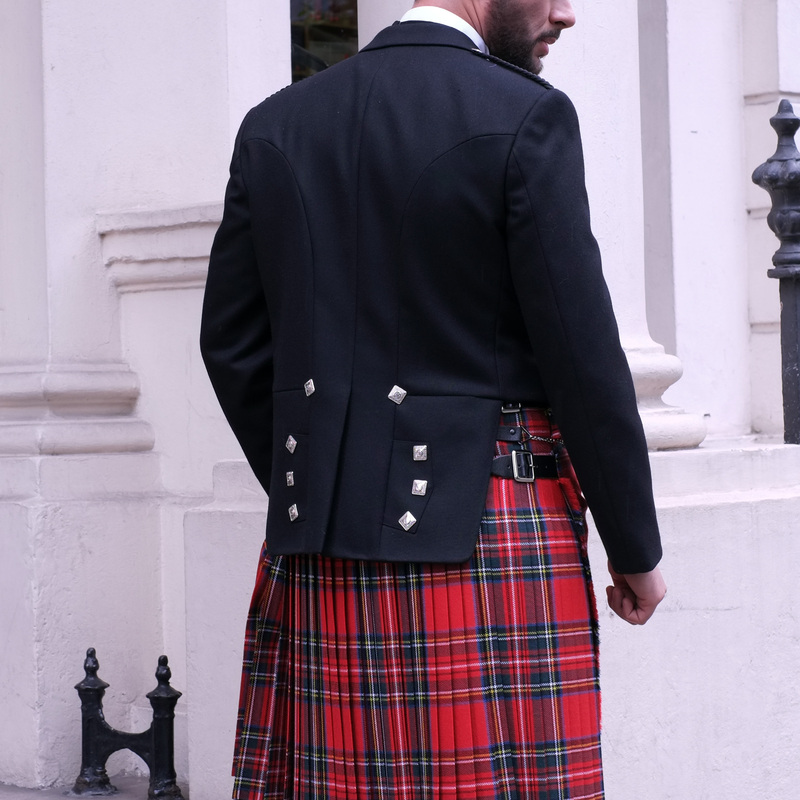 The traditional Bonnie Prince Charliel jacket and 3 button waistcoat, leather ghillie brogues and stunning dress sporran with antique cantal complete this package. 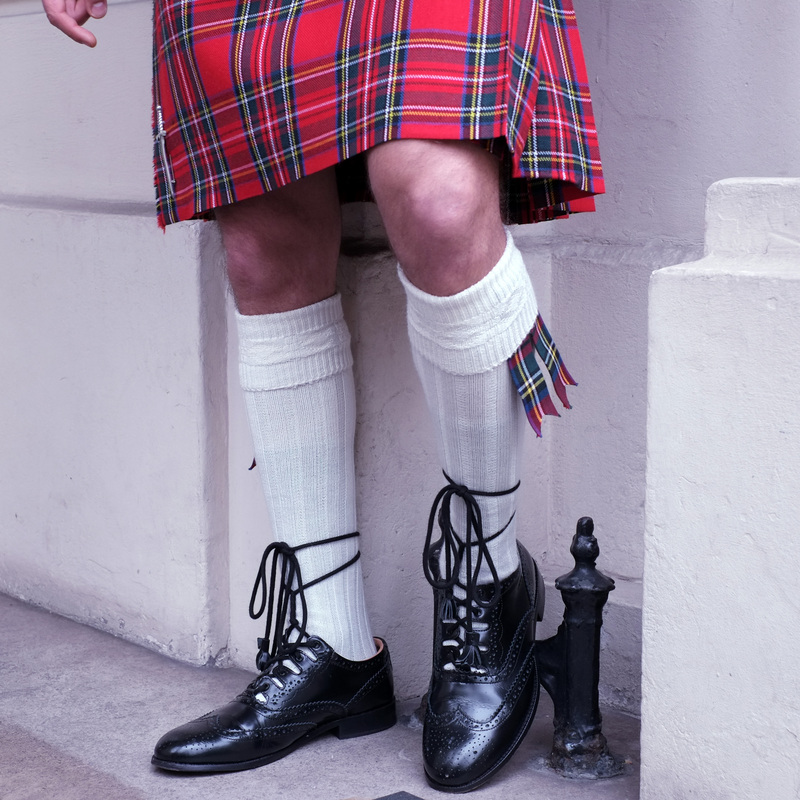 Our experienced staff will include in your order the correct sporran chain according to your kilt waist measurements and your hose size will be assigned according to your shoe size selection . Why buy from Highland Store?